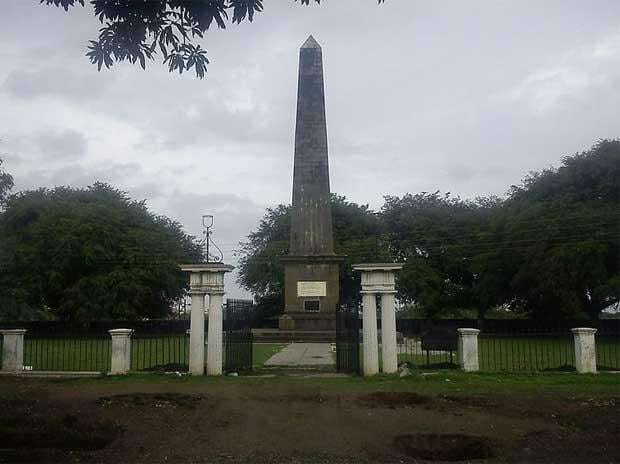 The January 1 violence at Koregaon-Bhima near here was triggered by "provocative and inciting" speeches made at the Elgar Parishad conclave a day earlier, the Pune police has told a judicial commission. The Pune police submitted an affidavit in this regard Friday to an inquiry commission set up by the Maharashtra government under Justice (retd) JN Patel to probe the violence. The Elgar Parishad was organised at the Shaniwar Wada here on December 31 last year to commemorate the victory of the East India Company forces, comprising a large number of Dalit soldiers, over the Peshwa army in 1818. It led to violence in the area on January 1 this year as well as protests by Dalit groups across the state, including a Maharashtra bandh on January 3. On behalf of the Pune police, Additional Commissioner of Police (South Region) Ravindra Sengaonkar filed the affidavit, Shishir Hiray, special public prosecutor representing the state at the judicial commission, said. When contacted, Sengaonkar confirmed that an affidavit was filed. Elaborating on the content of the affidavit, Hiray Sunday said, "During the investigation of the case, the Pune police realised that the Elgar Parishad itself was the product of some sort of a conspiracy." "And the provocative and inciting speeches made at the conclave instigated the minds of people and the cumulative effect of a widespread conspiracy ultimately resulted in violence the next day at Bhima-Koregaon," he added, quoting from the police affidavit. Hiray said the affidavit of the Pune police was accompanied by recordings of speeches made at the conclave and copies of booklets distributed at the event, which they claimed were "provocative" and spoke of using violent methods to overthrow the democratic system. Earlier, Suvez Haque, Pune (Rural) Superintendent of Police at the time of the incident, had stated in his affidavit that the violence at Koregaon-Bhima was due to a sudden clash between two groups of people carrying blue and saffron flags. "The basic difference between the affidavits of the Pune police and the Pune rural police is that the latter's affidavit is talking about what happened in front of their eyes at Koregaon-Bhima on January 1, whereas the one by Pune police talks about why it happened," Hiray said. "So, the Pune police's affidavit is talking about the larger conspiracy," he added. Four days after the violence, based on a complaint filed by one Tushar Damgude at the Vishrambaug police station within the jurisdiction of Pune police, a case was registered against Sudhir Dhavale, Sagar Gorkhe, Harshali Potdar, Ramesh Gaychor, Deepak Dengle and Jyoti Jagtap. In his complaint, Damgude had alleged that "provocative" speeches and presentations made at the Elgar Parishad on December 31 had "promoted" enmity between two groups and led to violence at Bhima-Koregoan on January 1. The violence had led to the death of one person near Sanaswadi.